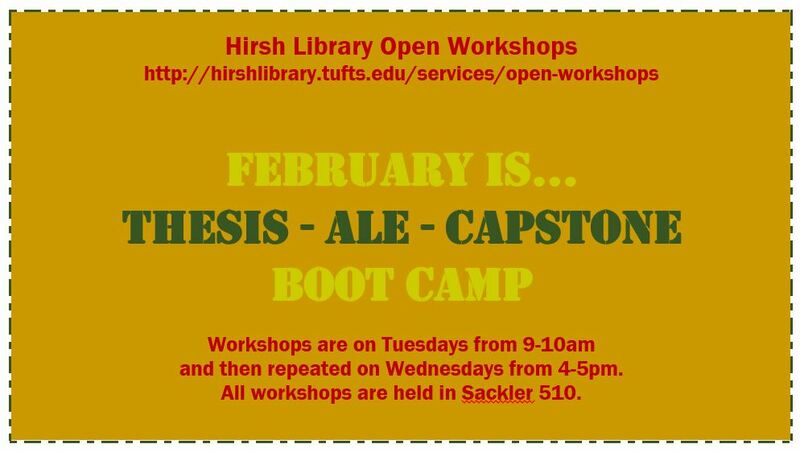 Currently viewing the tag: "Open Workshops"
February is Thesis/Capstone/ALE Boot Camp Month! 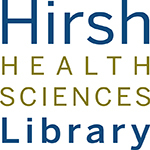 During the month of February, Hirsh Library will be offering a 4-part ‘boot camp’ for students undertaking a thesis, Capstone or ALE project. 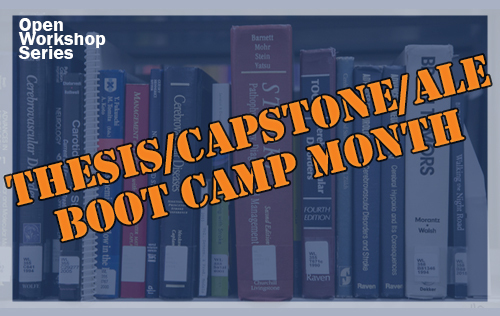 This workshop is the first a 4-workshop ‘boot camp’ for students undertaking a thesis, Capstone or ALE project. 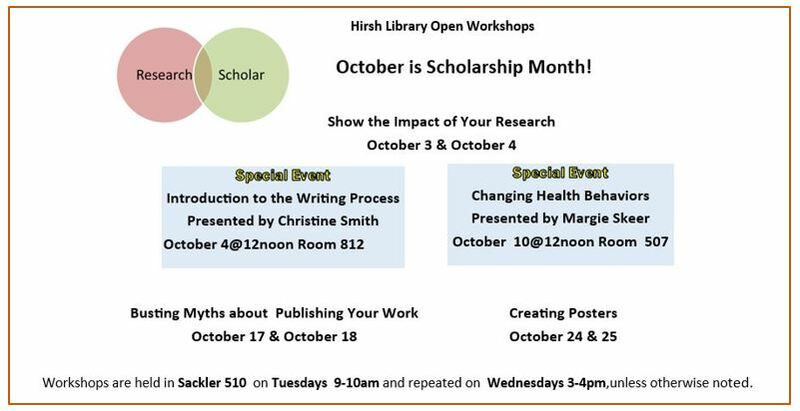 In this workshop, students will learn how to approach the literature review. Topics covered include database selection, devising effective search techniques, limiting articles to relevant study-types, and tools for keeping track of results. Citation management tools help you manage the research process. 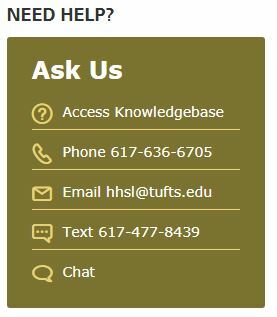 These tools allow you to store and organize references, as well as automatically generate in-text citations and bibliographies in a variety of citation styles, such as APA and AMA. They store PDFs, allow you to share references with others, and so much more! Learn about your options among four major citation managers: RefWorks, EndNote, Zotero, and Mendeley. 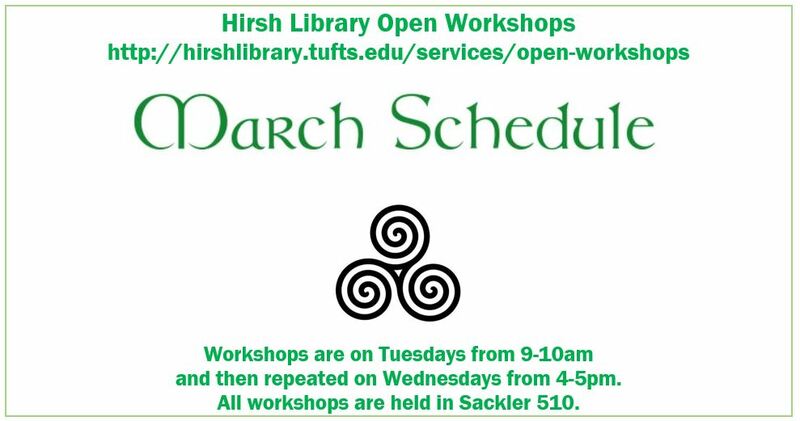 This workshop will provide an overview of these tools to inform your decisions on which tool is best for you. We will survey and search image collections licensed by Tufts and in the public domain. 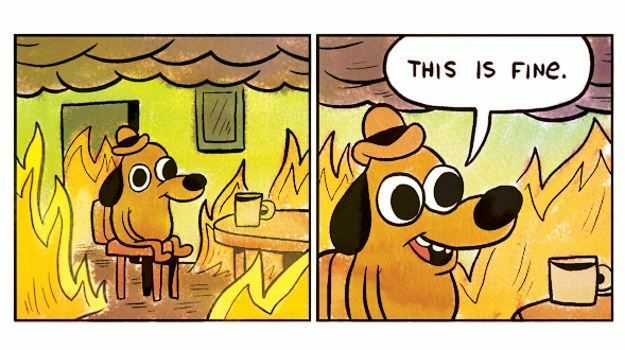 We will also discuss options for storage, display, and citing sources.